The Nuffield Model DM4 48 h.p. 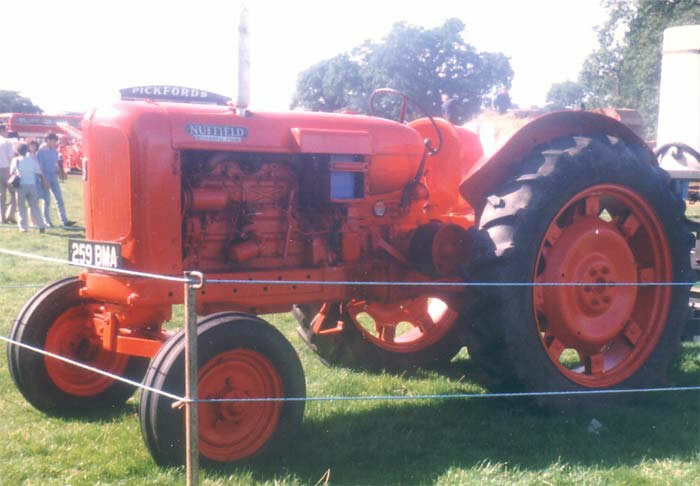 Perkins Diesel Tractor was introduced in 1950, it remained in production until 1954 when the engine was replaced with a new BMC 45 h.p. diesel engine, at this time the model was renamed to the Nuffield 4DM. The price of the DM4 when first introduced was just a little less than £670, quite a substantial difference when compared to the £550 cost of the standard vaporising-oil burning M4.